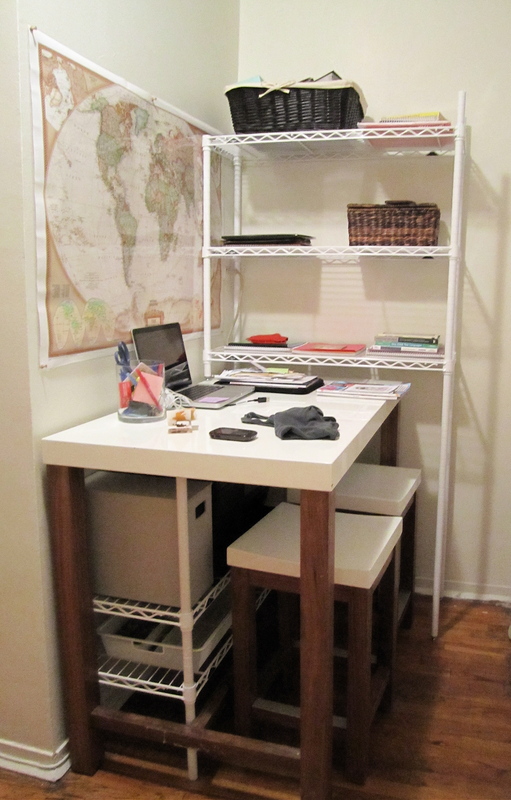 This is the nook off a kitchen in a client’s small studio that she wanted to make into a work area. She just moved in and the previous tenant left the large table that nearly fills the entire space. 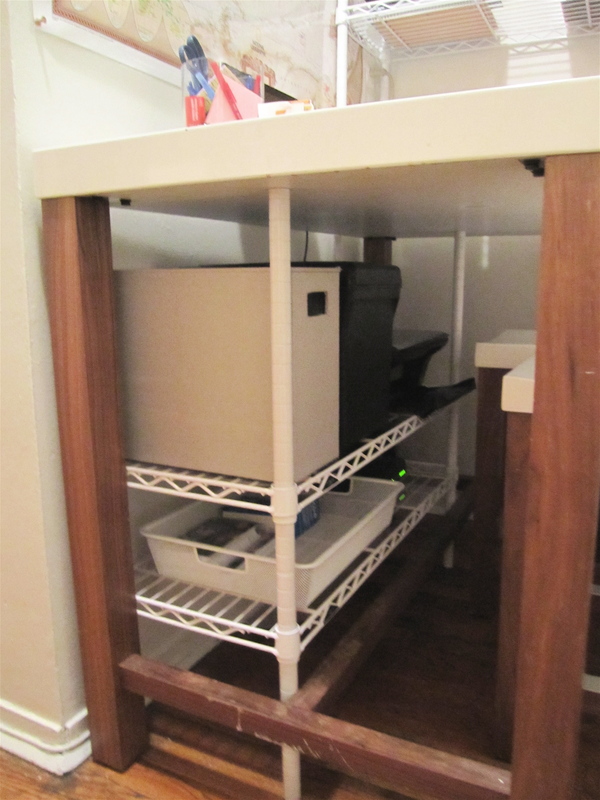 She had the intermetro shelving unit which I squeezed under the desk for the printer (not often used), router and extra office supplies. 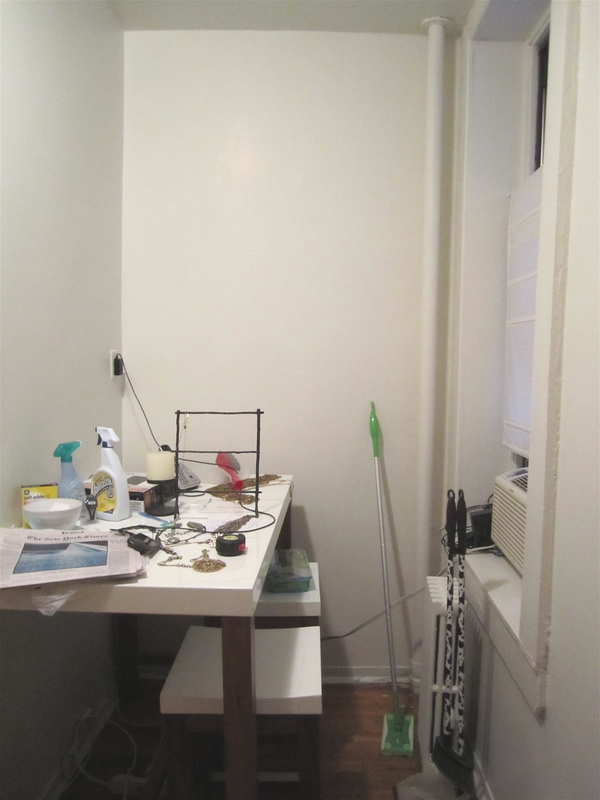 The high back shelving unit is actually partially on the table. The front left post is 36″H and is resting on the table. The other three posts are 74″H and go to the floor. Sorry I don’t have any more pics. I took these as we were running out. While it looks a bit empty now, she’s starting grad school this week so it should be filled with books in no time. What a great way to re-purpose items your client already had. 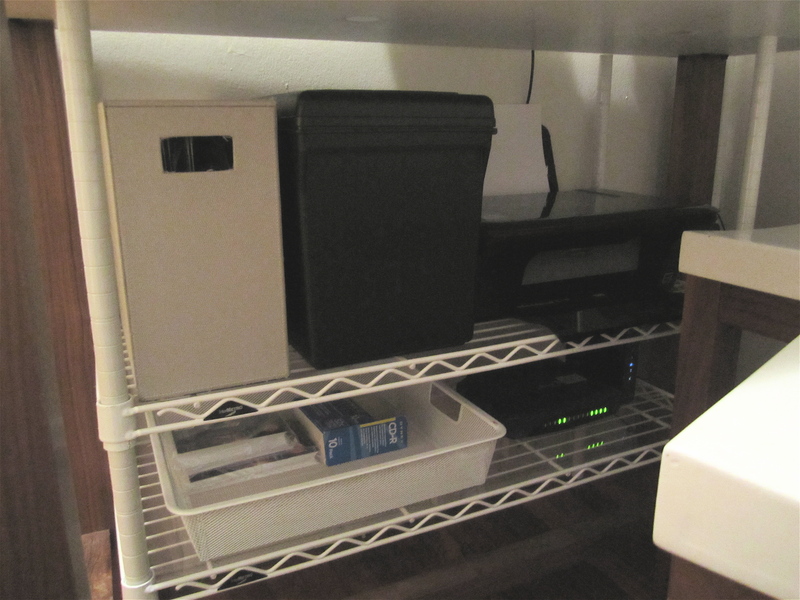 I love it when you don't have to purchase new items to organize a space.